This luxury Italian lighting collection from Rugiano Interiors combines high-end materials with glass, metal, and fabric. 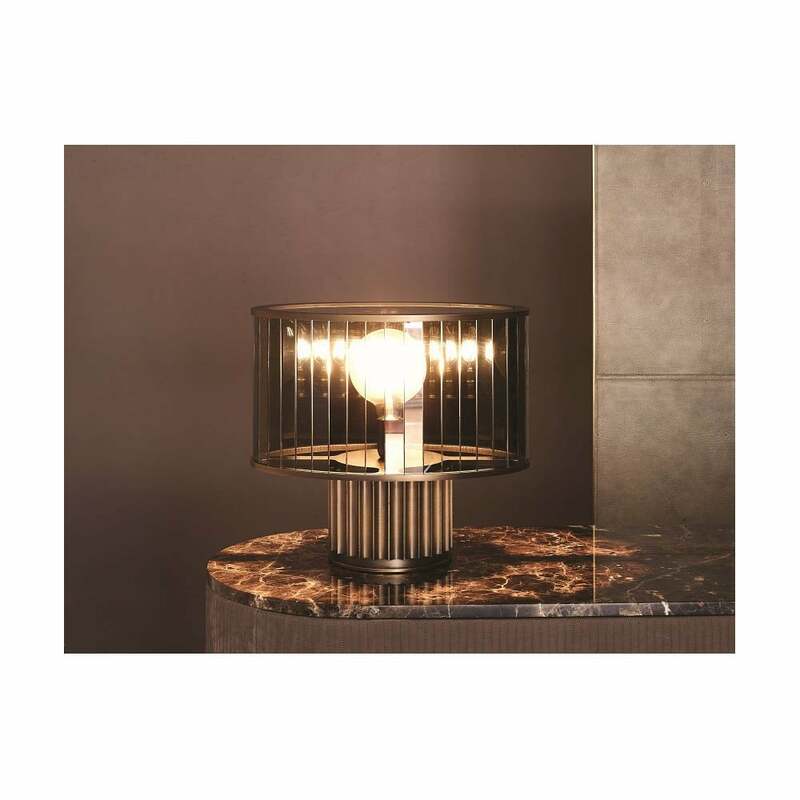 The Liberty Table Lamp is inspired by the stylish designs of the Art Deco Era. The cylindrical base is handcrafted from the finest materials with a choice of finishes in bronze, black chrome and polished gold. Liberty works beautifully with Rugiano’s signature finishes of leather and marble. Use as a statement bedside table lamp or to add ambience and glamour to a hallway or reading nook. Available in three sizes. Pair with the Liberty Floor Lamp for a cohesive lighting scheme. Make an enquiry for more information.